Until now, it’s been very difficult to connect the physical world to the web. Ever want to get an alert every time a chipmunk is in your vegetable garden, control your TV through the Internet, or drive a robot from 10,000 miles away? Eric will describe how these projects are possible with Pinoccio, a hardware, software and API, for the Internet of Things revolution. The meeting will be on Monday, Aug. 11, 6-8 p.m. at Pizza on the Hill, in Tahoe Donner at 11509 Northwoods Blvd., Truckee. A $5 fee includes pizza and salad. Before and after the presentation, there will be time for networking. Sugar Bowl Resort received the “Best of Weddings” award by The Knot, the nation’s most visited wedding planning website. Brides married at Sugar Bowl nominated the resort for The Knot award. Sugar Bowl was then selected from a group of nominees by The Knot wedding experts. Only 1 percent of The Knot’s wedding vendors won an award for 2014. Sugar Bowl Resort’s wedding venue, a secluded mountain lodge with adjoining private lake offers a variety of wedding packages. Choose from a full-service wedding with on-site lodging at the Sugar Bowl’s historic lodge, and an option of a rehearsal dinner at a nearby private Lake Mary cabin, or throw a big wedding party in the Mt. Judah lodge. The resort’s Sierra location features blooming wildflowers, a rolling creekside lawn, and open-air firepits. Sugar Bowl also offers details such as a private chairlift ride to Mt. Disney for drinks and appetizers. In-house food and beverage to ceremony details is handled with the help of Sugar Bowl’s expert wedding staff. To learn more about Sugar Bowl weddings, go to http://www.sugarbowl.com/weddings or http://weddings.sugarbowl.com. Squaw Valley and Oakley have joined forces again to create custom Lake Tahoe sunglasses designed for athletes including avid runners, bicyclists and triathletes, with $10 from each sale going directly to the Tahoe Fund, a nonprofit corporation working to restore and enhance Lake Tahoe. Choose from two, new one-of-kind Oakley sunglasses: the Oakley Radarlock Path Lake Tahoe and the Oakley Flak Jacket XLJ Lake Tahoe. They are designed with impact protection, optical superiority, and the iridium lenses feature a small, custom-etched outline of Lake Tahoe. The sunglasses can be purchased at Parallel Mountain Sports or the Oakley store in The Village at Squaw Valley. Those who are not in the Tahoe area can also purchase a pair of the sunglasses by calling the Oakley Store directly at 530-452-4378. 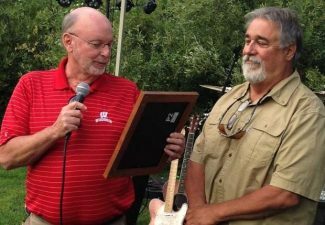 Designed to acknowledge marketing excellence within the community, the Reno Tahoe AMA (American Marketing Association) Ace Awards – celebrates the best marketing strategies of the year. Taking home the coveted Best in Social Media marketing award was the #TruckeeMoments hashtag campaign. 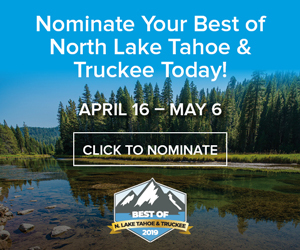 Working on behalf of the Truckee Donner Chamber of Commerce, the campaign was developed and implemented by Out&About Marketing and launched in Spring 2014. Originally created as a 30-day contest on Facebook, Instagram and Twitter, the campaign inspired locals and visitors to share their favorite Truckee experiences. #TruckeeMoments took hold and transitioned to an ongoing social media movement. More than 1,300 photos/videos were submitted. The Visit Truckee Facebook page grew “likes” by 513 percent; Instagram now has 603 followers (previously, there was no Truckee Instagram presence); and Twitter followers grew by 136 percent. Visits to Truckee.com website have increased 64 percent with mobile visits up 270 percent. Contact the Truckee Donner Chamber of Commerce at 530-587-2757 or visit http://www.TruckeeChamber.com for business information; http://www.truckee.com for visitor information. 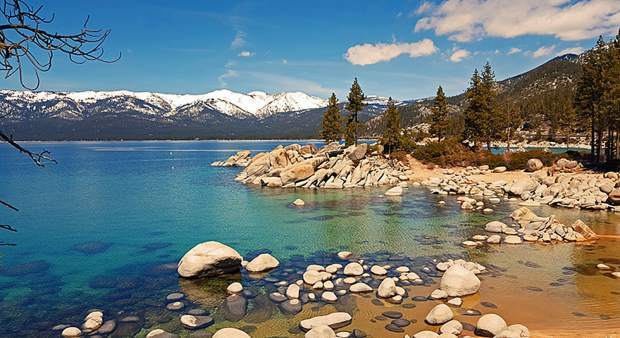 The North Lake Tahoe Chamber/CVB/Resort Association’s Super Star program was created to help motivate and encourage excellent customer service in North Lake Tahoe. Super Star cards are distributed to guests through Visitor Centers in Kings Beach and Tahoe City. If a guest experiences exceptional customer service from an employee in North Lake Tahoe they can hand the employee a Super Star Card. Any employee receiving a Super Star Card can fill out their information, mail, scan and email or turn the card into our North Tahoe Visitor Center. Super Stars are eligible to win fabulous prizes. A Super Star Employee of the Week will be recognized through social media platforms. If you are interested in donating a prize contact Emily Sullivan-Detwiler, director of Visitor Services at Emily@GoTahoeNorth.com or 530-581-6900. The North Lake Tahoe Visitor Center is located at 100 North Lake Blvd., Tahoe City. Visit http://www.GoTahoeNorth.com for a full list of events, lodging, dining and activities. The Hospitality Road Show is a 45-minute fun, high-energy training workshop intended for front-line personnel, managers and even owners who need a gentle reminder about the importance of customer service. Offered by the North Lake Tahoe Chamber/CVB/Resort Association. To make a reservation call Kym Fabel at 530-581-6900 or email her at Kym@GoTahoeNorth.com.